The author has taken lively and innovative approach to presenting one of the possible diaries of the conspiracy theories that surround the assassination of Abraham Lincoln. The book is set out as a play and imagines the unsolicited confessions of an assassin who has escaped, only to emerge many years later. The book layout is appropriate in as much as J Wilkes Booth was an actor who came from a well-known American acting family, and the assassination took place in a box at a theatre. DESCRIPTION: The author has taken lively and innovative approach to presenting one of the possible diaries of the conspiracy theories that surround the assassination of Abraham Lincoln. The book is set out as a play and imagines the unsolicited confessions of an assassin who has escaped, only to emerge many years later. The book layout is appropriate in as much as J Wilkes Booth was an actor who came from a well-known American acting family, and the assassination took place in a box at a theatre. When any famous individual meets an untimely end, conspiracy theories usually flourish even where there is a wealth of evidence and witness statements to support the official review of the death and conclusions produced from that review. A later US President, John F Kennedy, has also generated a conspiracy theory industry, but perhaps with a greater number of anomalies than those produced by the shooting of President Lincoln. In the assassination of Lincoln, there is general agreement that Wilkes Booth was the shooter and that he was identified by a complete audience as he leapt from Lincoln’s box onto the stage and then fled through the scenery. However, there is no clear and definitive evidence of his motive, or whether he was acting alone for political or personal reasons. This provides fertile ground for conspiracy theory that would only have been addressed had Wilkes Booth been taken alive and put on trial. When the assassin fled, he left in his trail a fog of confusion. Even his cry on killing Lincoln, clearly heard by many witnesses in the theatre, could have been interpreted in several ways, but principally as either a declaration for Virginia or a political statement on the character of the victim. Further clarity did not emerge twelve days later when Wilkes Booth was killed and burned in a tobacco shed. There was a lack of transparency in identifying the body and some claims are that the body was so badly burned, identification was impossible. 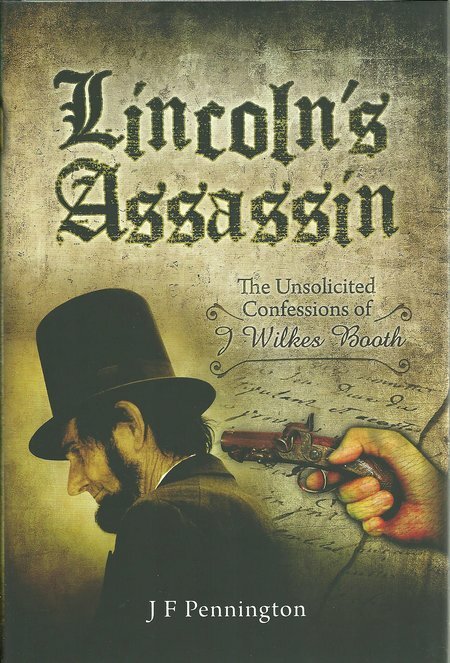 At the time, there were suspicions that Wilkes Booth was not dead and widespread suspicion as to the size of a conspiracy to assassinate Lincoln. There may never be a definitive answer, such is the nature of assassinations where investigations do not lead to apprehension and trial. The author has researched with care and his plot line is convincing. The reader is led through the events and the political landscape, Wilkes Booth’s escape, with another shot and burned in his place, and how the assassin went on to live in obscurity. As a fictional story, the book has great merit and will be thoroughly enjoyed by readers, but it will also appeal to those interested in history and conspiracy because it is based on facts and interpretations that are entirely credible, even if they cannot produce ultimate proof and may not reflect the real situation.